Hello, again! I’m continuing my mini Marvel Cinematic Universe with a fun little entry. 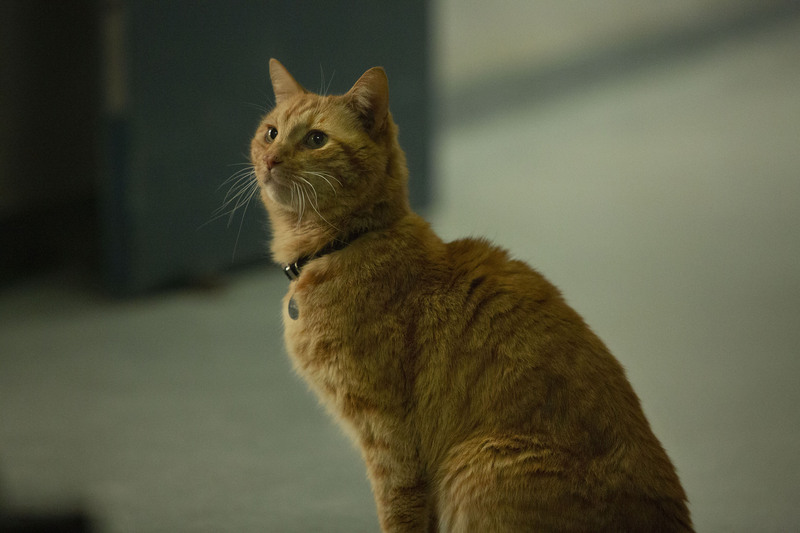 Anyone that has seen Captain Marvel might agree that Goose, the movie’s resident mascot, is quite cute! I like her so much that I decided that she needed her very own Starfinder stats. So, this week, we take a look at Goose! There are technically Captain Marvel spoilers ahead, so continue at your own risk! Pocket Dimension (Ex) Goose’s digestive system leads to a pocket dimension that allows him to consume far much more than a creature of his size would ordinarily be able to. Goose can use her swallow whole ability on Large creatures or smaller. In addition, she has room for any number of creatures when using the swallow whole ability. Creatures that attempt to climb out take a –4 penalty to their checks to attempt to do so. Goose can also use this pocket dimension to safely store items of 1 bulk or less as a move action. She can expel an item she has stored in this way as a standard action. Goose is a creature known as a flerken. Flerkens closely resemble the cats of Earth, save for a few notable features. Flerken are highly durable creatures, capable of withstanding the massive g-forces experienced during space flight. In addition, a flerken’s scratch is highly dangerous and is prone to severe infection if left untreated. 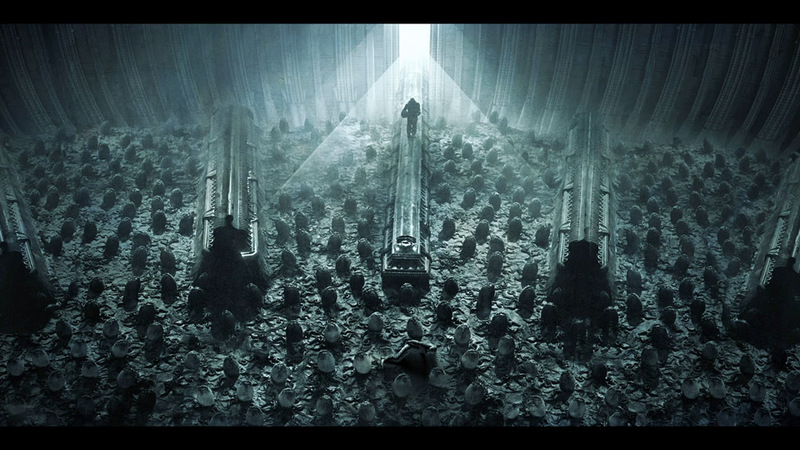 Finally, there’s the whole giant maw full of writhing tentacles and nested mouths. 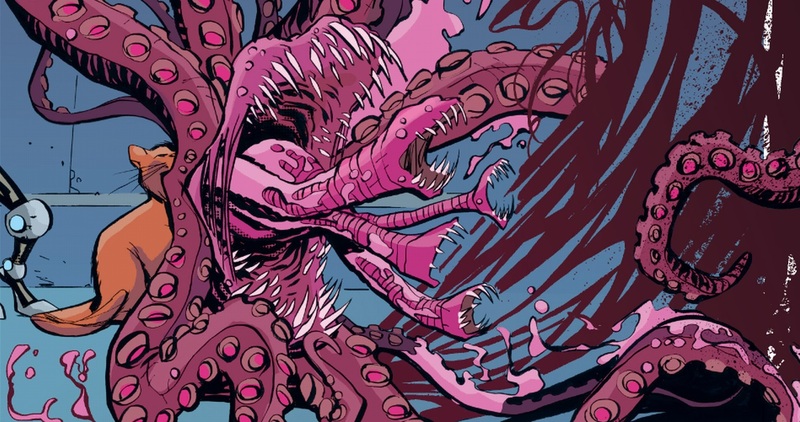 A flerken’s mouth can open to an uncanny size, releasing several additional mouths and tentacles to help the flerken consume a creature. Flerkens have a dimensional pocket within them, allowing them to eat all manner of creature with ease. Their impressive digestive systems even allow them to consume creatures and objects normally considered dangerous or inedible and not suffer any ill consequences. Goose in particular is a good judge of character and will warm up to those that she finds friendly. While she tolerates physical attention, too much of it can cause her to lash out, so be be warned! That’s it for this week! If you end up introducing Goose into your game or you have any request for a future Monstrous Physique, please drop me a line at KnowDirection@hotmail.com.